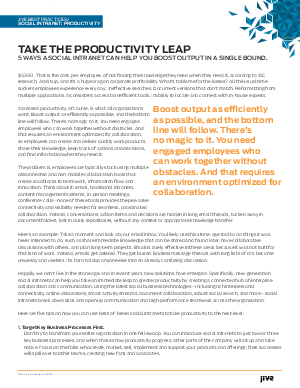 Boost output as efficiently as possible, and the bottom line will follow. There’s no magic to it. You need engaged employees who can work together without obstacles. And that requires an environment optimized for collaboration. Learn 5 ways a collaboration platform can boost productivity for your company.